You probably aren’t driving an electric car yet, just one in every 1700 cars on our roads is electric. But you may have noticed their quiet presence in our cities is growing. Since our first report on electric cars last year, the case for driving electric has become more compelling. 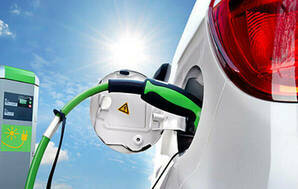 In May last year, the government unveiled its ambitious target of “doubling EVs (electric vehicles) each year to 2021”. 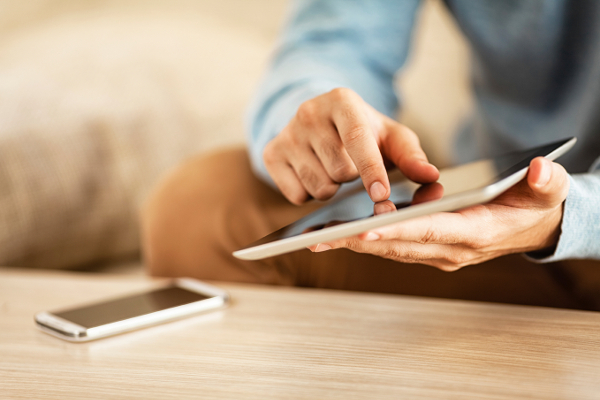 At the start of 2016 there were 976 registered in New Zealand. By the end of the year, this had more than doubled to 2130. While we’ve cruised past the first hurdle, the challenge ahead ramps up considerably. By 2021, about 10% of all light vehicle registrations that year need to be EVs. To reach an EV future, consumers like you and me will have to buy in. 2016 saw EV registrations shift from new PHEVs (plug-in hybrids) to used BEVs (battery-electrics). That was fuelled by consumers buying used Nissan Leafs — almost 1000 of them are now cruising silently on our roads. Most are used Japanese imports. First-generation Nissan Leafs now dip below $15,000. The market for used BEVs is booming. The selection of used EVs (mostly imported) is growing, and prices are coming down. Six months ago, it was difficult finding a used Nissan Leaf for much less than $20,000. But as demand has increased, more are imported and prices have dropped. The result is first-generation models now dip below $15,000. Rising demand has seen more EV-specialist dealers pop up. Dealers, such as EV Central in Taupo and Volt Vehicles in Auckland, are now importing near-new EVs from the UK and Japan. More stores means more choice, as these dealers are bringing in models not “officially” available here, such as the Kia Soul, Mercedes-Benz B-Class and Renault Zoe. However, downsides of buying a model not officially available in New Zealand is finding spare parts and a garage to service it. Before you buy, ask the importer or dealer about your local servicing options and parts availability. You also need to check the car’s charging socket. There are several standards for slow- and fast-charging. A good dealer will supply charging leads suitable for use here, but it is essential they are electrically certified and safe to use, as charging an EV puts a heavy load on charging equipment. 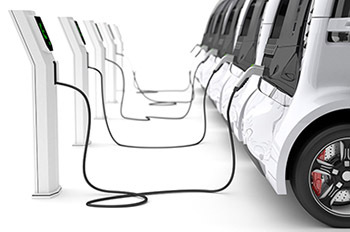 Government policy is geared at fleet adoption of EVs — incentives make bulk-purchase by businesses and government departments more attractive. The idea is this will encourage more New Zealand-new EVs, which then trickles down to consumers on the used market in a few years. As most of us buy our cars pre-loved, the idea makes sense. However, this will only work if businesses adopt EVs sooner rather than later. Is that happening? Not yet. A big barrier is the limited availability of new electric cars. It’s tough getting a trickle-down effect into the used market if the new-vehicle well is dry. Currently, the BMW i3 is the only new BEV available here. The VW eGolf and Renault Zoe, which were due late last year, are still to materialise. 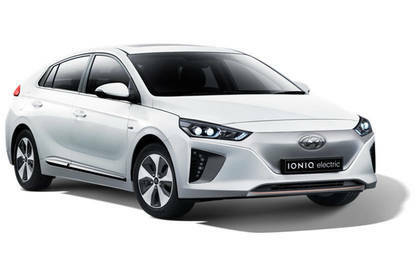 Hyundai NZ has announced the Ioniq, already available in other countries, will be available here as a BEV. We think the Ioniq has the potential to make some major changes in our market. The biggest barrier to consumer adoption of BEVs is their limited range. We are used to driving for hundreds of kilometres on a tank of fuel. The fear of running out of juice is a real problem for potential EV owners. Fortunately, we are seeing some developments there. The stock answer for EV “range anxiety” is it’s much less of a problem than you think. When we trialled a Leaf, we made six meetings all over Auckland and never got close to draining the battery. That was in a car with a range of just 135km. The latest BEVs can travel even further between charges. While battery technology is improving, immediate gains come from simply using bigger batteries. The first-generation Leaf with a 24kWh battery could cover 117km, which improved to 135km in the second-generation model. The latest Leaf with a bigger 30kWh battery can manage 172km. The BMW i3, with a 33kWh battery, covers 182km. The Hyundai Ioniq has a 28kWh battery good for 218km (Hyundai says the 2018 car will have a range of 320km). The latest Renault Zoe is available in Europe with a 41kWh battery Renault says covers 298km. Those are all real-world distances, rather than exaggerated best-case claims. The latest BEVs will get you from Central Auckland to Hamilton, while the Renault Zoe will get you home again on a single charge. It adds up to a lot of daily driving before range anxiety takes hold. An each-way commute of an hour is easily manageable. We’ve not even mentioned Tesla, which announced a New Zealand store and service centre opening in Auckland this year. A base-level Model S will manage 333km on its 60kWh battery. You’ll pay at least $117,000 for that performance though. More in reach is the much-vaunted Model 3. Tesla promises 346km for a starting price of US$35,000 when it arrives next year. That sort of range means BEVs are moving into the territory of longer journeys. Once range gets over 300km, pure electric travel between Auckland and Taupo; Wellington and Napier; Queenstown and Dunedin; or Christchurch and the West Coast becomes feasible. That’s how I started my previous EV article. The developments in just the past six months have me believing it even more. We’re a one-car family, but I could almost justify adding a used Nissan Leaf just from cost-savings I’d make by not using my petrol-powered car for short journeys. But I’m going to wait. Once BEV range gets above 300km, and more practical models that can swallow a family for a weekend away become available for a reasonable price, I’ll be able to replace my one car with a pure electric model. I reckon that’s a couple of years away yet. Buying a used Nissan Leaf as a second car, especially if you commute by car most days, is like replacing incandescent bulbs with LEDs: the sooner you do it, the sooner you’ll start saving on ongoing costs. 14,000km annual travel — a distance equivalent of a 50km daily round trip commute and a modest amount of other local travel. At the time of writing, Trade Me has 16 Leafs listed for less than $14,000. 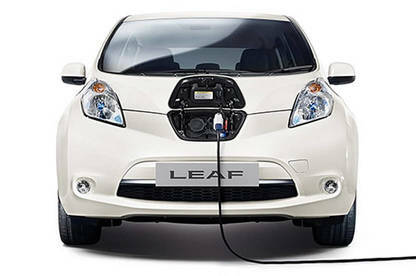 Over three years, those running cost savings mean the Leaf is equivalent to buying an $8000 petrol-engine car. That would get you a 12-year-old Toyota Corolla with the odometer approaching 100,000km. The elderly Corolla is more likely to need repair or costly servicing. It would also pump out pollution every time you turned the ignition key. Unless the Renault Zoe or VW eGolf finally wash up on our shores, it’ll be the first New Zealand-new BEV released since BMW launched the i3 in 2015. It’s a family-sized five-seat hatchback. While smaller cars like the i3, Leaf and Zoe are great urban runabouts, the Ioniq has just enough extra space to make it more practical for families. It’ll travel 200km on a single charge. That’s not weekend road-trip range, but it makes it more versatile for longer trips and removes range anxiety for the vast majority of drivers. It looks like other cars. While quirky aesthetics appeal to those who want to scream “LOOK AT MY EV!”, most of us want an inoffensive car that’s easy on the eye and doesn’t attract too much attention. A new one costs $60,000. While not cheap — a similarly sized and specced petrol-engined Hyundai Elantra costs just $36,000 — it’s a step below the only other BEV available new (the BMW i3 costs $74,300). It’s designed as an electric car and won’t be available as a petrol- or diesel-only version. This means Hyundai is committing to an electric future.